An unemployed university drop-out ran a dark web business selling illegal drugs and said he wanted to use it to sell horrific child sexual abuse images to paedophiles. Thomas White, 24, took over the running of the notorious dark web site Silk Road after it the FBI closed it in 2013. White, who left his accounting degree at Liverpool John Moores University after a single term, was an administrator of the Silk Road. But within a month of its shutdown he launched Silk Road 2.0. Like the original site, it used technology to allow users to anonymously buy and sell drugs, computer hacking tools and other illegal goods, using the digital currency bitcoin. White’s dark web site specialised in supplying class A and B drugs, as well as legal highs. Although he had no legitimate income, White paid £10,700 up front to rent his plush apartment on Liverpool’s city water front . Though investigators can’t be sure how much money he made, around $96m of goods were traded on Silk Road 2.0. from which White took between and 1 and 5% commission on each sale from the tens of thousands of users. When National Crime Agency officers raided his flat they discovered a laptop under his bed which contained 464 category A (the most severe) indecent images of children. NCA investigators uncovered White’s online chat with an administrator of Silk Road 2.0 where he said he wanted to set up a paedophiles’ website “because there is money to be made from these people”. A vast amount of encrypted material was discovered on White’s computers. It contained data hacked from the FBI, Nasa, the FBI, users’ details from Ashley Madison , a website billed as enabling extramarital affairs , the database of the US Fraternal Order of the Police – the equivalent of the UK’s Police Federation – and customer details of UK broadband provider TalkTalk. White, who used aliases ‘St Evo’ and ‘Dread Pirate Roberts’, ran Silk Road 2.0 from November 2013 to March 2014. He then took a back seat but still involved himself with the running of the site by a US subordinate, where their computer servers were based. White was arrested at his apartment in November 2014 and at the same time the FBI raided the US operation. He was rearrested as the NCA investigation progressed in early 2017. White was self-taught at computers – which he spent £35,000 on – and he spent his days staying up late gaming. He was believed to own 50 bitcoins, which investigators seized, with a current value of around £192,000. Last month he pleaded guilty to drug trafficking, money laundering and making 464 category A indecent images of children. 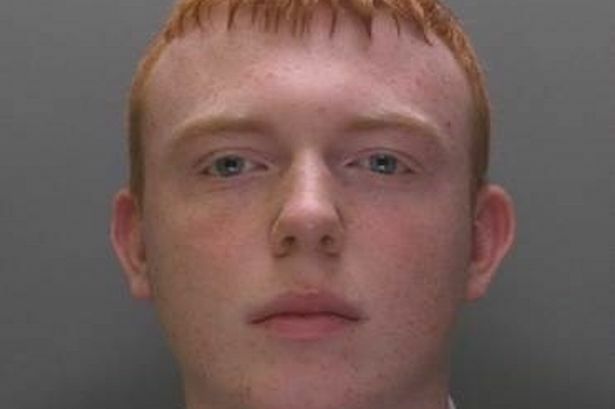 He was sentenced today at Liverpool Crown Court to five years and four months in prison. Ian Glover from the National Crime Agency said: “Thomas White and his online associates believed they could use the dark web to anonymously commit crimes with impunity. “But this case shows that those who try to hide behind the apparent security of anonymising software will be identified and brought to justice. “White was a well-regarded member of the original Silk Road hierarchy. He used this to his advantage when the site was closed down. We believe he profited significantly from his crimes which will now be subject to a proceeds of crime investigation. “Close working with American partners in the FBI, Homeland Security and the Department of Justice has resulted in the take down of global illegal drug empires and the targeting of associated money laundering, primarily involving crypto-currencies. White had links to ‘PlutoPete’ – Peter Ward – who was prosecuted by the NCA and sentenced to more than five years in prison in March 2016. White actively recruited administrators to build and help operate Silk Road 2.0. These administrators were known online as Defcon (Blake Benthall), Libertas (Gary Davis), Inigo (Andrew Jones) and Dr Clu (Brian Farrell) – and have all since been prosecuted in the United States. John Williams, from the CPS, said: “Although Thomas White used anonymity and pseudonyms to try and cover his tracks, the CPS was able to show that he was the guiding mind behind the building of Silk Road 2.0. “Copies of back-ups of Silk Road were found on an encrypted laptop seized from White’s flat following his arrest in November 2014, along with crypto-currency Bitcoin relating to Dread Pirate Roberts 2. “Parcels sent to StExo, the online user name featured on Silk Road 2.0 ended up at his home address in Liverpool and a rented mailbox.